When kids are learning to ride, the right machine makes all the difference. Not only must it be the right size, it must be intuitive to operate and forgiving when skill does not yet match enthusiasm. Honda's smallest manual clutch model, the CRF125F, is a perfect step up from the auto-clutch CRF110F, but also an excellent choice for a slightly larger first timer. Small wheel sizes keep seat height low while the light, progressive clutch operated with a lever is designed specifically for smaller hands, helping young riders master clutch control in no time. 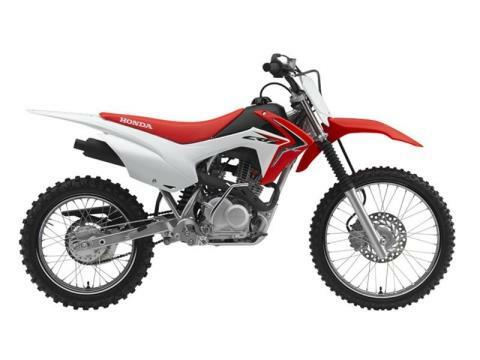 Parents will find lots to like about the low maintenance CRF125F too; not only is it economical to operate but Honda's renowned durability means excellent retained value when it’s time to trade up to a larger model. CRF125F - a perfect step up or first step.